The solar electromagnetic and corpuscular emissions are strongly modulated by the evolution of the magnetic structure of the solar atmosphere, which is imprinted in the solar surface. The evolution of the magnetic structure leads to gradual changes in the solar activity (space climate) as well as violent events (space weather) that affect the whole Heliosphere. In particular, the solar output affects the ionized and neutral components of the Earth’s atmosphere that have a direct impact on human activities from agriculture to high-technological systems. The solar magnetism is driven by the energy transport from the inner layers to the solar atmosphere. Although systematic observations have revealed several features related to the evolution of solar activity, there is not a complete explanation of the physical processes that lead to solar activity cyclic variability and its long-term changes. Here we present a brief description of the development of a magnetograph and visible-light imager instrument to study the solar dynamo processes through observations of the solar surface magnetic field distribution. The instrument will provide measurements of the vector magnetic field and the line-of-sight velocity in the solar photosphere. 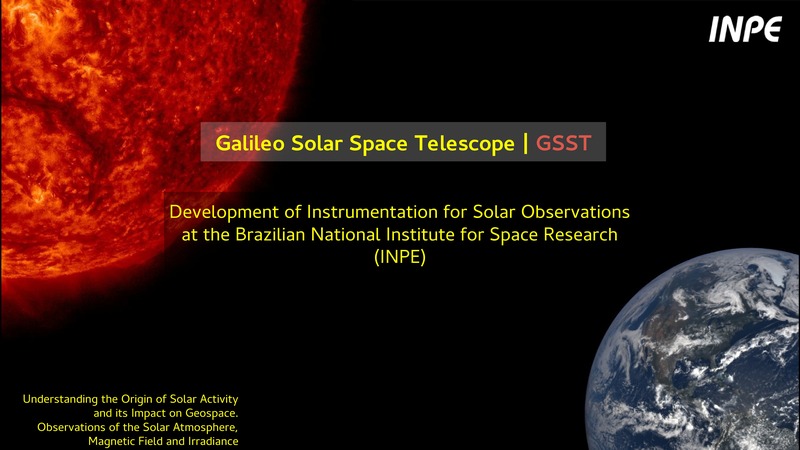 As the magnetic field anchored at the solar surface produces most of the structures and energetic events in the upper solar atmosphere and significantly influences the Heliosphere, the development of this instrument plays an essential role in reaching the scientific goals of The Atmospheric and Space Science Coordination (CEA) at the Brazilian National Institute for Space Research (INPE). In particular, the INPE’s Space Weather program will benefit most from the development of this technology. Additionally, we expect that this project will be the starting point to establish a robust research program on Solar System Research at INPE. The proposed instrument has been designed to operate on the ground, but with a conceptual design flexible enough to be adapted to work on a balloon and space-based platforms. In this way, our main aim is acquiring know-how progressively to build state-of-art solar vector magnetograph and visible-light imagers for space-based platforms to contribute to the efforts of the solar-terrestrial physics community to address the main unanswered questions on how our nearby Star works. You can also download the native presentation file format (pptx) here.